Bioware general manager Casey Hudson acknowledges that the studio ought to have spent more time on the narrative of its last game, Mass Effect Andromeda. 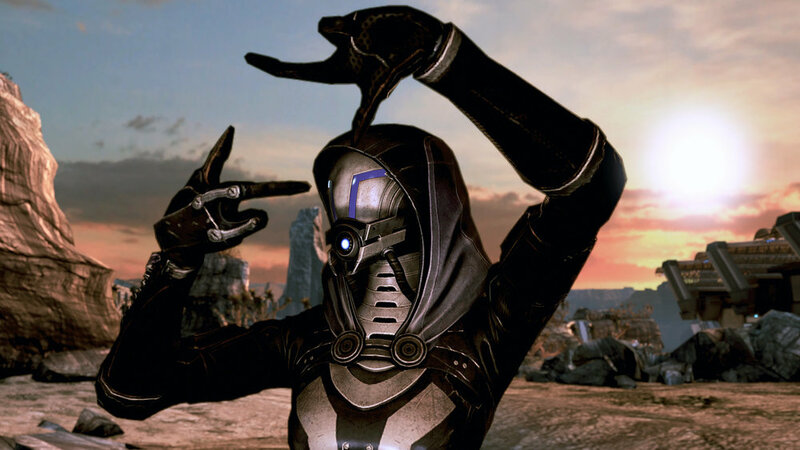 “When I returned to BioWare last summer, Mass Effect: Andromeda had just been released and there was a significant movement among players asking for a story DLC that would answer questions surrounding the fate of the quarians. As you know, we were not able to deliver story DLC for Andromeda—this was as frustrating for us as it was for players, and it was something we knew we had to solve in future games. “That experience ultimately became a defining moment in refocusing BioWare’s mission. We need to delight players with new experiences and innovation, but we must stay focused on the importance of the world, character, and storytelling elements that players expect from our games. And our games must be designed to continue delivering new stories and experiences, in an ongoing relationship with players in the worlds we’re evolving together. A majority of Hudson's career as a developer has been at Bioware, beginning as a technical artist on MDK2 before he became project director for games like Star Wars: Knights of the Old Republic, Jade Empire and of course, the original Mass Effect trilogy. Although he was involved in Mass Effect Andromeda’s at the earliest planning stages, Hudson left Bioware before it entered into full development. Hudson joined Microsoft Studios as a creative director, where he focused on developing experiences for their mixed reality technology HoloLens. He returned to Bioware last summer, mere months after the release of Andromeda, and subsequent to the departure of previous general manager Aaryn Flynn. To many observers and fans, Anthem is a second chance for the studio to undo the tarnish to its reputation done by Mass Effect Andromeda. While Andromeda received praise for its satisfying combat and art direction, it frustrated with its inconsistent and buggy animations, underdeveloped story and tedious open world. Some held out hope that the game would improve with post-launch content and support, but August’s 1.10 patch was announced to be Andromeda's final update. This was a disappointment to those who remained invested in Andromeda’s plot threads, most notably the fate of the quarians and the sixth colony ark that was to ferry them to the Andromeda galaxy. Unveiled at the Xbox state at E3 last year, Anthem is an open-world, multiplayer science-fiction RPG that is widely regarded by many to be EA and Bioware's answer to games like Destiny and The Division. It will be launched on PlayStation 4, Windows PC and Xbox One. Although originally tagged for release in 2018, it’s expected to be launched some time in 2019. "I helped start Mass Effect from the beginning. Of course we intend to get back to it at some point." "We need to delight players with new experiences and innovation, but we must stay focused on the importance of the world, character, and storytelling elements that players expect from our games." "I know a lot of you are wondering why I'm doing this. For many people, they can't imagine anyone stepping away from Bioware. But it was time for me to move on." The community of Neverwinter Nights will be involved in suggesting their own updates and improvements. That's great news since bespoke projects by devoted users have been an essential component of that game's legacy. Mass Effect Androemda has received a series of patches, so it might be a better start this time around.